The Spinalonga Fortress Management Plan has received unanimously, the “green light” from the members of the Central Archaeological Council (KAS), thus completing the final nomination file for the inscription of the island of Spinalonga, located in the gulf of Elounda, Crete, on the UNESCO World Heritage List, int.ert.gr reports. The file will be submitted at the end of the month, marking the countdown for the possible inclusion of the islet on the list of the International Organization. 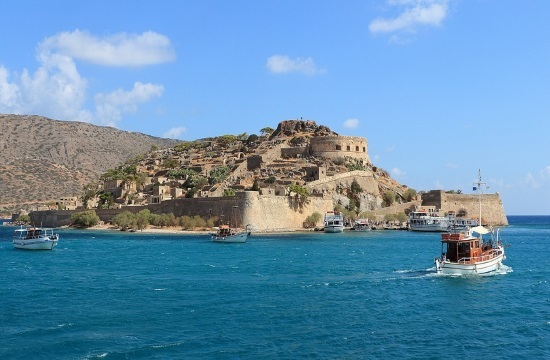 “The possible inclusion of the islet will be the first monument of Crete to be included in the UNESCO World Heritage Site,” said Maria Andreadaki-Vlazaki, Secretary General of the Greek Ministry of Culture and Sports. The Spinalonga Fortress is the second most visited archaeological site in Crete after the palace of Knossos and the sixth in Greece. “After Spinalonga, we are hoping that the Minoan Palaces will follow, because the Minoan civilization has not yet been included in the UNESCO Catalog”, noted Mrs. Vlazaki.